You have tried everything- Physical Therapy, injections, ice, heat, medications- nothing has decreased your knee pain. Although these treatments may work for some, they do not work for all. You are tired and ready to get back to normal life. 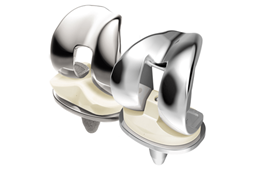 You and Dr. Spott decided a Total Knee Arthroplasty or a Total Knee Replacement is the best option. What happens now? You may need to get clearance from your family doctor, cardiologist, pulmonologist, or any other specialty doctor you see regularly. This is very important and required for everyone when going under anesthesia. This means that the specialty doctor will examine you and determine that you are healthy enough to undergo a surgical procedure. They may send you for further testing. 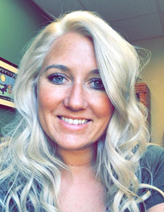 If you do not have any medical conditions, Dr. Spott may send you for a few tests such as blood work, EKG, or chest x-ray depending on your age and health history. This will all be explained during your office visit, and the tests can be done at an outpatient facility at any time that is convenient. Physical therapy is an important part of the pre-op and post-operative period. Having the knee surgery will correct the joint problem, but you will need a regular exercise program to strengthen and stretch your muscles to properly support your new joint. Continue these exercises until your surgical date, the stronger you are, the better. You can expect a phone call prior to your procedure date from a Registered Nurse at the surgical facility (hospital or outpatient center). They will explain what to do the day before surgery: usually no eating or drinking after midnight, what medications to take or not to take, what time to arrive at the facility, and what to expect when coming into the hospital or facility the day of surgery. Surgical dates and times are always subject to change so look out for this phone call. Your surgical date has arrived! All of the pre-op testing has been completed and you are ready to have surgery. You can expect to go home the same day. Yes, that’s right. Most (almost all) of Total Knee Replacement patients go home the same day after surgery. 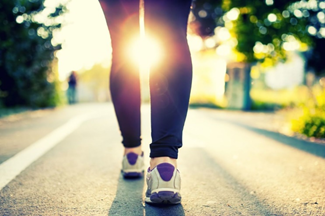 You will be on your feet and walking with a Physical Therapist just a few hours after surgery. Then, as Dr. Spott says: “Drive it like you stole it!” You may notice on your way home and even on day 2, your knee has very little to absolutely no pain. 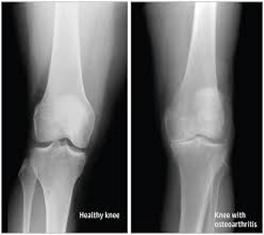 This is due to the specific Joint Academy medication injected into your knee during your procedure. Now, post-operative therapy begins. This is a critical time in your recovery where a therapist will manipulate your knee and perform exercises aimed at strengthening, stretching, and restoring normal knee function you may have lost from the arthritis. Dr. Spott will see you back in the office within 2 weeks of your surgery. The therapy should be pushing you 5 days a week and Dr. Spott will monitor how much improvement you have made. The incision will be examined and the staples may be taken out at that same visit. (This is not a painful procedure.) Dr. Spott will tell you to walk, walk, walk; work up to 3 miles a day. Recovery is what you make of it. The harder you work, the better you will feel. At Superior Orthopedics you will be pushed to get the most out of your new joint. We are here to make sure you are extremely happy with the outcome. We will answer any questions you may have about this procedure or any other procedure you are considering. As a small office, we are determined to put our patients first and work hard to make sure they are comfortable with all decisions about their health and wellness. You can expect individualized attention from Dr. Spott and his staff with all of your questions answered. Let us know how we can help you feel like yourself again.